Organization: Fitness And Character Education Inc.
Goal: Directly Impact 300 public elementary students & indirectly impact over 3000 people in Duval County. I enjoy WeGive.org because it's one-stop shopping for all my favorite causes! FACE4kids benefits from strategic partnerships that allow the 8-week program to be offered FREE during the school day throughout the year, where principals and teachers recognize the positive impact in the lives of their students. Often these students come from communities that suffer from extreme poverty, high crime rates, high unemployment and fractured homes. 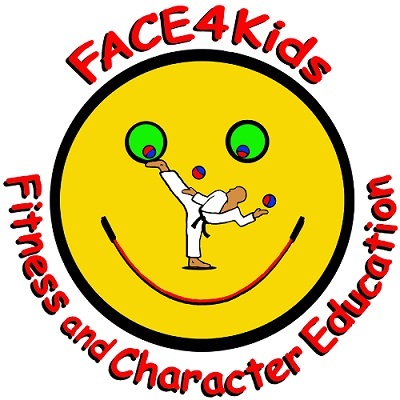 FACE4Kids has been implemented in over 50 different public-school locations throughout NE Florida since 2004 while expanding to Pennsylvania in 2012. This unique program combines Martial arts, jump rope, juggling, agility training and public speaking. Your charitable donation will help support 20 different 8-week sessions in Duval County public elementary schools.